When choosing a place for you and your students to stay in Atlanta, you don’t just want a hotel that is safe, affordable and includes plenty of amenities, you also want to choose a location that will immerse your students in the heart of the city where they will be surrounded by plenty of exciting things to do. The “city too busy to hate” lives up to its name as dozens of hotels are neighbored by tourist attractions that your students will love. In fact, it might even be harder to find a hotel that doesn’t have something fun to do nearby. From the Atlanta Symphony Orchestra to the Georgia Aquarium, your students won’t have to travel far to experience these tourism hot spots when they stay at one of these beautiful hotels. Nothing is worse than getting off a long flight and immediately embarking on a lengthy drive to your hotel. 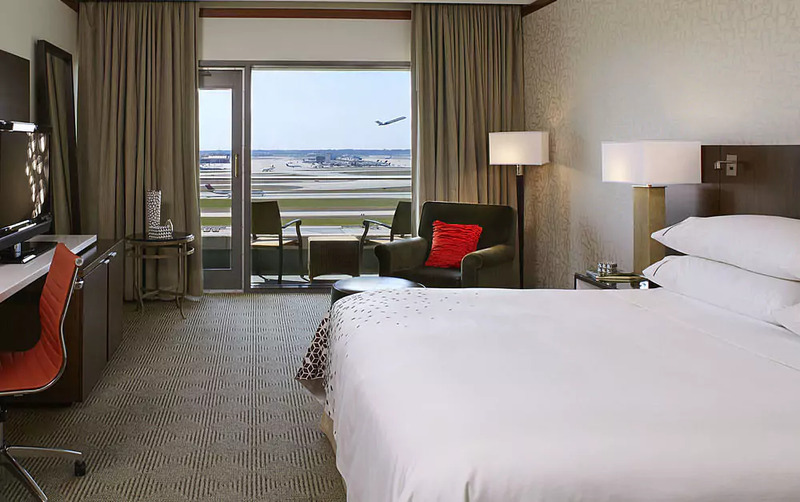 At the Renaissance Concourse Atlanta Airport Hotel, your students can hop right off the plane and into a warm bed. If you are coming from the Hartsfield–Jackson Atlanta International Airport, a complimentary shuttle is also offered to make the transition as seamless as possible. Rooms include refrigerators for your students to store snacks or leftovers, Smart televisions with premium TV channels and wired and wireless internet access to keep them entertained. When they are ready to start exploring the city, some of Atlanta’s most popular destinations like Clayton State University and the Georgia International Convention Center are just a short trip from the hotel. If you find yourself with some extra free time, we recommend talking to one of the navigators at the hotel who are eager to share their knowledge on the best local discoveries that only Atlanta natives know about. 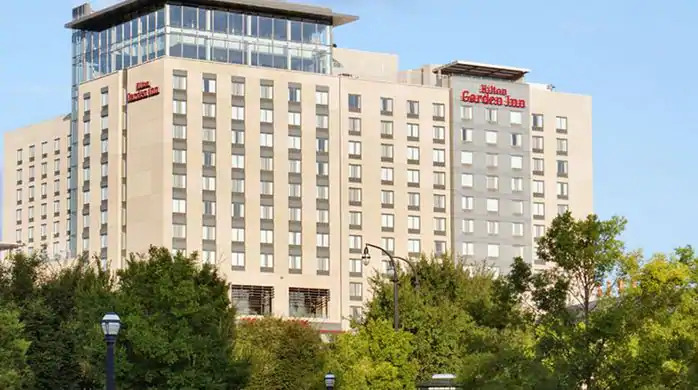 What better way to immerse your students in the Atlanta environment than staying at a hotel in the heart of downtown? A modern take on midcentury design, the Hotel Indigo Atlanta Downtown was designed by the famed architect John Portman whose influence lives on in many structures throughout Peachtree Center. 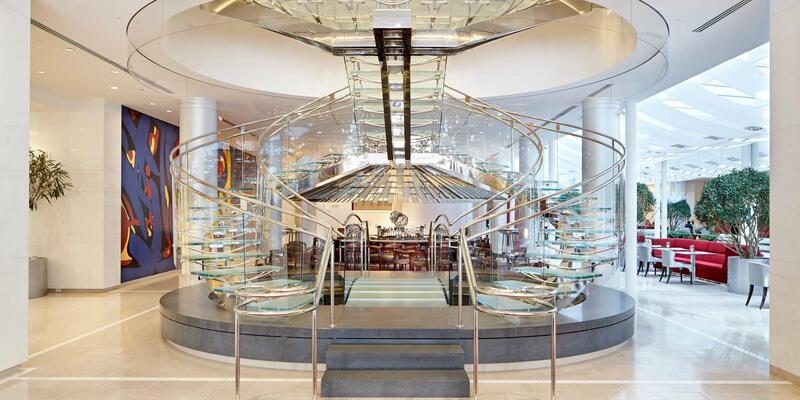 The centerpiece of the 206-room building is the grand glass-and-steel staircase located in the lobby which is sure to be the backdrop of many of your student’s pictures. In addition to the atmosphere, you and your students will appreciate the convenience of being located just a short drive away from Hartsfield-Jackson Atlanta International Airport and surrounded by popular attractions like Georgia Aquarium, World of Coca-Cola, Philips Arena, College Football Hall of Fame and Centennial Olympic Park. If you are traveling with a band, choir or orchestra group, the Artmore Hotel is the place to be. Like its name suggests, Artmore is located in the center of the Cultural Arts District, just down the road from artistic attractions like MARTA (the Arts Center), the Alliance Theater, the Atlanta Symphony Orchestra and the Georgia Aquarium which has become a popular performance venue. Bringing a passion for the arts into the design of the hotel itself, the exterior has been restored from the original 1924 Spanish Mediterranean design and the stylish interior incorporates modern features like the large sculptural wall with everchanging colors. The Artmore Hotel recognizes the importance of paying attention to detail which is why every room includes custom bedding, rain showerheads, refrigerators and iPod docking stations. In addition to its stunning atmosphere, you can be assured that your students will be well taken care of as the hotel staff prides itself on redefining southern hospitality by offering personalized service to every single guest. 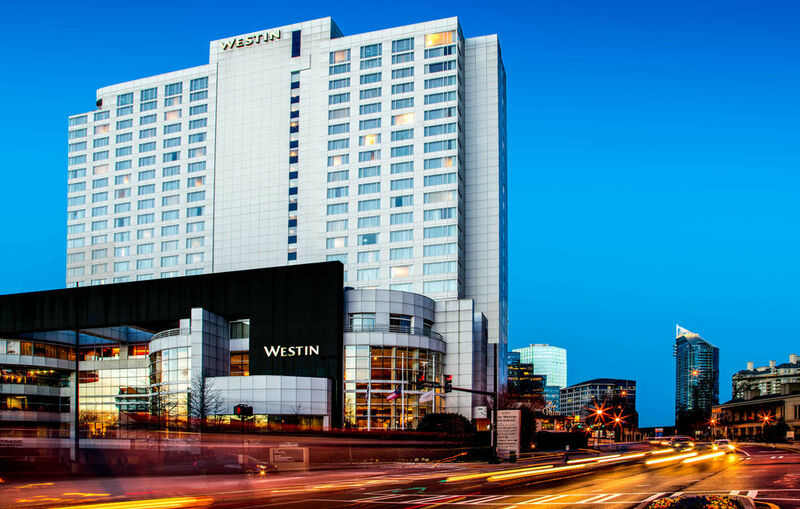 What sets the Westin Buckhead Hotel apart isn’t just its premium location, but also its endless list of amenities and superior customer service. A testament to the quality of the hotel is its AAA Four Diamond rating, only given to hotels with top-notch amenities, hospitality and service. Such amenities include a coffee maker with complimentary Starbucks coffee and Tazo teas in every room, 24-hour in-room dining, a 32” flat panel LCD TV, a refrigerator, in-room movies and more. 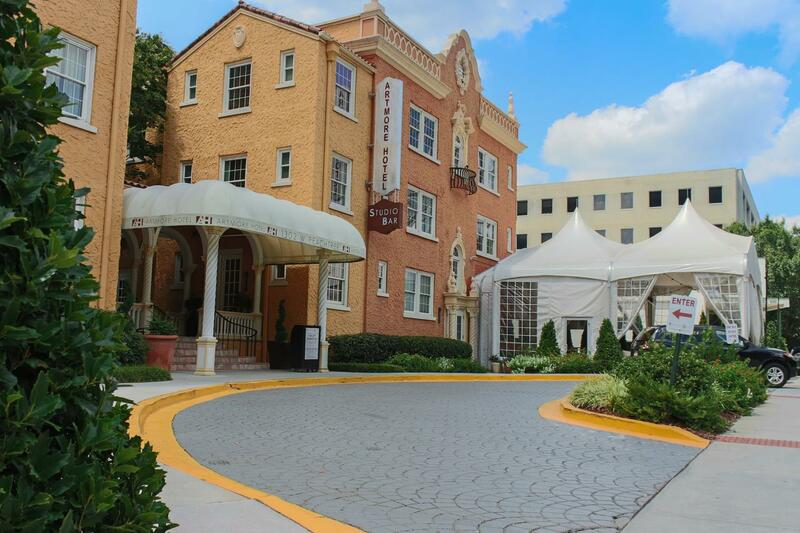 Complimentary car shuttle services are also available to take your students anywhere within a 2-mile radius of the hotel which includes attractions like LEGOLAND® Discovery Center, Buckhead Theatre or the Atlanta History Center (one of the largest history museums in the nation). If your students want to do some shopping, finding transportation won’t be necessary as some of the area’s top shopping locations like Phipps Plaza Mall, Lenox Square Mall and Shops Around Lenox (a collection of premium boutiques and restaurants) are all within walking distance of the hotel. Other popular Atlanta attractions like the Atlanta Botanical Garden, the High Museum of Art, Atlanta Symphony Orchestra, Alliance Theatre and Margaret Mitchell House & Museum are all less than five miles away. Your students will feel right at home when they stay at the Hilton Garden Inn Atlanta Downtown. Committed to making its guests feel comfortable, the hotel offers in-room features like complimentary HBO, on-demand movies, a 32-inch HDTV, a mini-refrigerator, a microwave, a Keurig® Brewing System and complimentary WiFi which your students will appreciate when trying to post pictures from their Atlanta adventures on social media.